We have all been there! Between work, school, friends, family, and trying to find “me” time, we can totally disregard things without noticing. This can even include ignoring signs from our curls. We can easily forget when it is time to give them love and care. But no worries, below is a guide of simple signs when you know you should give your curls extra love and care. Cleansing is essential to maintain healthy hair. Whether you choose to use a shampoo or cleansing conditioner/co-wash conditioner, cleansing will keep your scalp healthy and clean. If you start to notice product buildup on your scalp and hair, it is definitely time to cleanse. If your scalp is itching and flaking up, it is time to cleanse to reduce the itch and remove the flakes. It may be best to cleanse your hair with a product that includes tea tree or peppermint oil. You may notice that your hair is bigger and reacts the way you want when your hair is dirty, but remember that you should include cleansing in your regimen at least 1-2x a month. Licensed cosmetologists recommend cleansing at least once a week. Deer conditioning is also important to keep in your regimen. If your hair is dry, limp, and not retaining moisture the way you like then it is time to deep condition your hair. While applying your deep conditioner, make sure to pay attention to the problematic areas or the areas that are not absorbing moisture the way you like. You should also deep condition your hair if your curls are frizzy and dull. Consider covering your hair with a plastic cap and allowing the deep conditioner to sit for at least 15 min. to bring your curls back to life. Use this method if you experience dryness frequently, as your body heat or sitting under a hooded dryer will help the conditioner penetrate your curls. 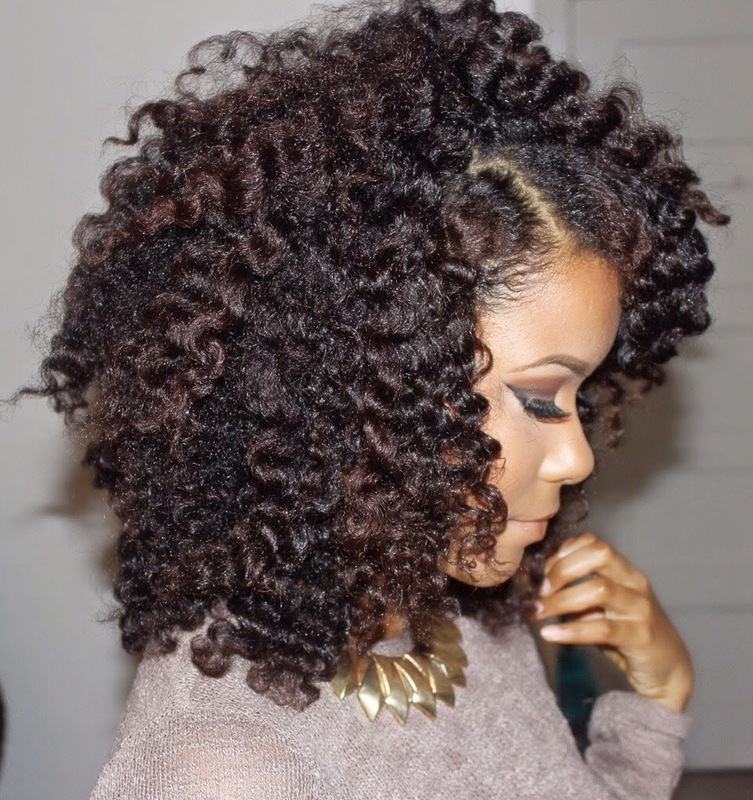 Protein treatments are great ways to care for your curls. If you are experiencing breakage, then you should consider incorporating protein treatments in your regimen. However, you should set a schedule for your protein treatments. Frequent treatments are not the most ideal for protein sensitive hair. If you are not sure if your hair is protein sensitive, try using a protein treatment twice a month. If your hair has protein overload, it will be hard and stiff. After your first month, it will be easier to determine if your need the protein treatments more frequent or not. You should also try a protein treatment if you think you have heat damage. If the protein treatment revitalizes your curls, then you do not have heat damage. It may take up to 2-3 sessions to notice a different. If you do not notice a difference by then, you more likely are suffering heat damage. This can be a tough one. It may take time to notice if you need to change products. Be sure to take notes of any changes with your hair because you may need to go back to them. If you are no longer receiving the same results with your hair, it may be time for you to change products or simply shampoo your hair. Your hair cannot get use to products but what you are using may have been reformulated without your knowledge. If your have is limp, dull, then you should start looking for something new. The products that you used for your relaxed hair may not work for your growing natural hair. For example, you will need a conditioner with more slip to help glide your fingers or comb through your two textures. There are a few signs that can help determine if you need to trim your ends. If your ends are dry and your favorite hairstyles like twist outs and wash and go’s are not looking the best, it is time to trim your ends. If the ends are not trimmed, then the style can look a little weighed down and dull. If you are twisting or braiding your hair and your ends are constantly snagging, then that is another sign that it is time to trim your ends. In addition, if you are experiencing many single strand knots, it also may be time for a trim. Some curlies use the search and destroy method. However, it is also great to schedule sessions for a trim and try not to go to long without one. How do you know when you hair is ready for a change?